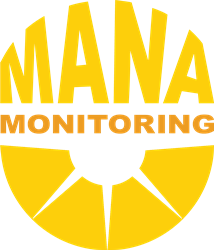 Mana Monitoring, Hawaii’s leading provider of advanced, flexible solutions for energy monitoring and solar energy asset management, capitalized on the growing market demand for its SaaS-based solution by signing 40 energy-efficiency projects during 2018. By responding to new regulations, market structures, renewable energy sources, and the continued evolution of smart-grid infrastructure, Mana Monitoring has established an impressive installed base nationwide and is well positioned as it expands its market focus on national opportunities in 2019. 2. Solar PV installer companies, PPA owners/asset managers, and the operations and maintenance (O&M) companies that service them. Hawaii State Department of Education. Mana Monitoring was awarded the Energy Efficiency Data Integration Platform contract by the Hawaii State Department of Education (HDoE). The project scope includes integrating all of the department’s various energy initiatives into the Mana Monitoring platform, including tracking energy usage and the generation of on-site renewable energy. The aim is to help Hawaii track progress, measure milestones, and make informed capital investments based on data-driven analysis in order to reach the state’s goal of 100% renewable energy by 2045. To date, the project includes: integration of 200+ schools’ electric meters, 110+ solar PV systems, and 110+ MET stations. “Mana’s ability to rapidly integrate and consolidate our energy infrastructure has been elemental in advancing the state’s ambitious energy efficiency targets,” said Riki Fujitani, HDoE director of auxiliary services branch. Buffalo Public Schools. Mana Monitoring was commissioned to integrate the Buffalo Public Schools (BPS) Renewable Solar Energy systems across 19 sites for a total of 3 MW on behalf of the system owner. Located in Erie County of western New York, BPS serves approximately 34,000 students in Buffalo and operates nearly 70 facilities. It is the largest solar project completed for a public-school district in New York State and is expected to generate about 3.4 million kWh of power each year–enough to power 220 homes annually. The completed integration included 19 solar energy meter and 99 SMA TL series inverters along with Weather data. Mana’s Solar Aggregator helps maintain the systems for optimum yield and coordination between the local O&M company (Montante Solar) and the Asset Owner (RCE) ultimately reducing the school districts carbon footprint and energy dependence. CEC and CNMEC: Mana Monitoring integrated two large-scale renewable-energy facilities into its platform during Q4 of 2018, including a 2.3 MW facility for the Columbus Electric Cooperative in New Mexico and a 2.6 MW facility for the Central New Mexico Electric Cooperative. This brings the total MW monitored to nearly 174 MW in New Mexico. During 2018, Mana solidified its position as Hawaii’s top EnergyIoT (Energy Internet of Things / EIoT) integrator, offering hardware-agnostic monitoring and metering services that interface and integrate with a wide variety of devices. The latest update of the Mana Monitoring Aggregator Software ensures data reliability and consistency with source data, and a new “Data Reconciliation 2.0” feature that enables asset managers to quickly invoice tenants. For solar PPA providers and Operations and Maintenance (O&M) companies who depend on Mana’s Aggregator platform to automate their billing and maximize the uptime of their solar PV systems, Mana added several efficiency enhancements to its platform. Mana’s platform now connects to numerous data sources, automatically imports and normalizes energy data, and provides automated batching and invoice generation that can reduce complex billing procedures from days to minutes. Mana Monitoring helps energy professionals in the commercial, government, and non-profit sectors attain their renewable-energy objectives. The Mana Monitoring’s Solar Aggregator Software is a single-source monitoring aggregator and asset management platform that is flexible, scalable, and compatible with a wide range of solar PV and other renewable energy sources. For commercial property owners/managers and entities that manage a group of buildings/facilities, Mana Monitoring’s Energy Aggregator Platform provides a real-time energy dashboard and reporting platform designed for non-technical users. For O&M/installer companies, PPA owners/asset managers, and energy utilities, Mana Monitoring provides comprehensive monitoring and reporting services to ensure their renewable-energy assets are operating at peak performance. Headquartered in Lahaina, Maui, Mana Monitoring is privately held. For more information, visit https://www.manamonitoring.com.